Attracting and benefiting from our most beautiful pollinators. Butterfly gardening belongs to a growing school of gardening that focuses on the preservation of wildlife. It focuses on creating an environment for butterflies to thrive and reproduce. Gardeners who specialize in butterfly gardening place nectar-producing plants and host plants around the garden with hopes of attracting these beautiful insects. Each person has their own reason for creating a butterfly sanctuary that ranges from purely aesthetic to passionate about preserving the species. Many people find a fluttering rainbow fascinating enough to create a garden that attracts butterflies. Others take a more scientific approach by raising or rearing butterflies from ova to imago. Regardless of the reasoning behind this brand of niche gardening, people tend to love it and do so with a clear conscious. Find out more about butterfly gardening below. With the right gardening supplies growing organically is easy! Planet Natural has everything you need to get started: seeds, soils and fertilizers. Plus natural pest solutions that will guarantee you’ve created the healthiest habitat possible. Let’s grow together! Why Garden for Butterflies? : A webpage that focuses on butterfly-specific gardening by listing the necessities for attracting these beautiful insects. Monarch Watch: Butterfly Gardening: Scientists, environmentalists, politicians, and Eco-conscious homeowners have become fond of butterfly gardening because it preserves the species in a natural setting. Create a Butterfly Garden: Home owners eager to attract butterflies may create a garden with plants they love. Not only does this create a natural habitat, but it allows the butterflies to flourish in a safe environment. How to Create a Butterfly Garden: The Telegraph explains how to create a butterfly garden for the sole purpose of preserving the species and enjoying their company. Preserving the Monarch Butterfly: Planting milkweed in local gardens can help preserve the monarch butterfly. Threats to Monarchs: Creating a butterfly garden may be the solution to preserving the monarch. Butterfly Attracting Plants: The Xerces Society recommends native plants that are highly attractive to pollinators and are well-suited for small-scale plantings in gardens. Create a Garden to Attract Butterflies: Each butterfly is unique, and different plants will attract different butterflies. Attracting Butterflies: Learn about what attracts butterflies, including the right location and plants to build a garden. Organic Garden Pest Control: Keep butterfly gardens pest-free with these safe, effective products. Many are non-toxic — or specific to the pest — and will not harm butterflies, pollinators or beneficial insects. Butterfly Plants and Caterpillar Plants: A comprehensive list of butterfly and caterpillar plants listed alphabetically by their botanical name. Caterpillars and Their Food Plants: A list of host plants that caterpillars eat after hatching from their eggs. Native and Non-Native Caterpillar Host Plants for Showy Butterfly Species: A comprehensive list of host plants that caterpillars like to eat. Feed the Caterpillars: Plant these ten common host plants to help feed caterpillars after they have hatched. Creating a Butterfly Garden: Host Plants (PDF): Caterpillars feed on a variety of host plants, including trees, herbs, shrubs, and other types of plant material. Where to Find Caterpillars: Caterpillars are commonly found on these host plants, including milkweed, spicebush, paw-paw, parsley, dill, fennel, walnut, sweet gum, and cherry. How to Create a Butterfly and Hummingbird Garden: Planning the Garden: A step-by-step guide that shows homeowners how to build a butterfly garden from scratch. So You Want a Butterfly Garden: Quick Tips on Attracting and Maintaining Butterflies in Your Texas Garden (PDF): Use these quick tips when building an attractive butterfly garden filled with suggested nectar and host plants for both butterflies and caterpillars. Butterfly Garden Plans: A document offering several butterfly garden plans for those interested in building one. Create a Small-Scale Butterfly Garden: Follow these easy steps to make your garden butterfly-friendly. How to Create a Butterfly Garden in a Pot: HGTV offers step-by-step instructions on creating a butterfly garden in a pot. Build Your Own Bird and Butterfly Garden: An extensive document that covers every aspect of bird and butterfly gardening, including sample layouts that anyone can build. Butterfly Behavior: A student’s account of butterfly behavior based on the observation of the insect’s survival tactics, ability to regulate heat, reproduce, and gather food. 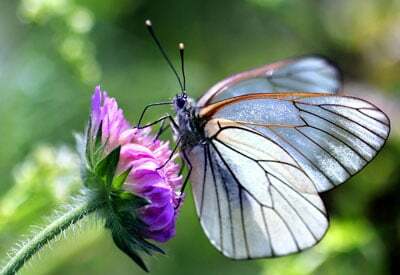 How Butterflies Work: HowStuffWorks explains exhibited butterfly behavior when it comes to food, including ways they eat from selected plants and gather nutrients from puddles. Perching and Territorial Behavior: An educational web page that describes how and why butterflies defend their territory. Behaviors to Watch: An educational website covering every aspect of butterfly behavior, including basking, puddling, patrolling, perching, mating, and egg laying. Questions About Butterfly and Moth Behavior: A webpage that explains butterfly behavior in kid-friendly terms. Butterfly Behaviors Activity Sheet (PDF): Use this activity sheet to identify butterfly behaviors in your garden. Monarch Butterfly (Danaus plexippus): Behavior: A complete profile of the monarch butterfly, including its unique characteristics, range, habitat, diet, life cycle, and behavior patterns. Butterfly Gardening Fact Sheet (PDF): The Smithsonian Institute shares a comprehensive fact sheet about butterfly gardening, including what to look for in butterfly behavior patterns. Rearing Butterflies and Moths: An educational website teaches how to raise butterflies in a rearing container. Live Butterfly Garden for Kids: Raise butterflies while learning all about metamorphosis with this award-winning kit! Raising Techniques: Follow these set of techniques for obtaining and raising immature butterflies. Raising Monarchs: From Ova to Imago: Follow the instructions listed to raise monarch butterflies from ova to imago. Monarch Rearing: A comprehensive guide covering step-by-step instructions on monarch rearing.